MyController was born around August 2015. Currently, version 1.0.0 available for public and before 25, December 2017, version 1.1.0 will be available for the public. I see some performance issues with MyController when we have a number of sensors grow. We need end user-friendly GUI. I believe for now we have only admin friendly GUI. There is no mobile application. Supports more databases. H2DB, MySQL, MariaDB, PostgresSQL. To reduce complexity support only for one DB or maximum two databases. To rectify all these issues, I am planning to build MyController 2.x from scratch. With the following technologies. Still, I want to keep MyController's primary platform as Rasberry PI. Kindly share your experience with influxDB and raspberry PI in the long run. Also, share your thoughts on this big move. 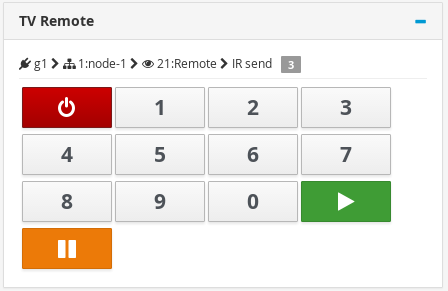 With the request https://github.com/mycontroller-org/mycontroller/issues/47 we have introduced an option to add custom buttons with custom payload on dashboard. We can use this widget for multiple purpose. Here I have showed how to use it as a TV remote control. For this you should have IR send sensor board in front of tv. Now select your IR send type sensor variable. In configuration we can give name, payload, btnType. Note: In this example I have added dummy payloads. Real payload of TV remote will be different(TV to TV payload will be different). @BenCranston For now MyController will not support for MySensors RSSI. 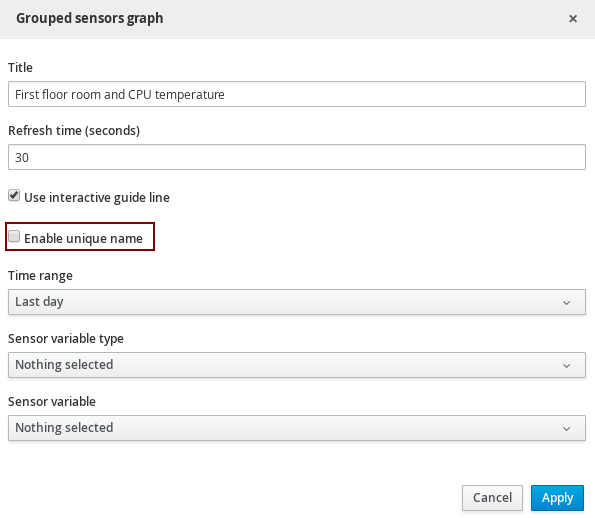 I have to check development version of MySensors to support this feature for MySensors. RSSI created for future use. Have plan to support LoRa (TheThingsNetwork.org), there we have RSSI. Please create a request on Github. I will add group button for dashboard. @mibu I will look in to implementation details. I will come back with the level of easiness implementation. @DaTTcz For now direct battery support not available on Rules. However you can do it from script. I will update how to handle with script. Kindly create a request on github page to support battery level on rules. RE: How to enable a SSL certificate? @Velo17 It is there in the user manual. You can edit the following to change default certificate. RE: Mesh network and gateway? @njbuch I am sorry for the delay. I was bit busy with other tasks. I will generate a getting started soon. Thank you for your patience. @njbuch I have updated quick start guide. Kindly let me know if you face any issue. Looks like taking some time to restore on your machine. @Tetnobic fixed this restore issue on the slow environment too. Thanks to reporting this issue. This is a nice catch! Updated changes on SNAPSHOT build. RE: Sleep and wakeup with loop? @njbuch I never tested sleep and wake up. Let me try and update, when I get time.